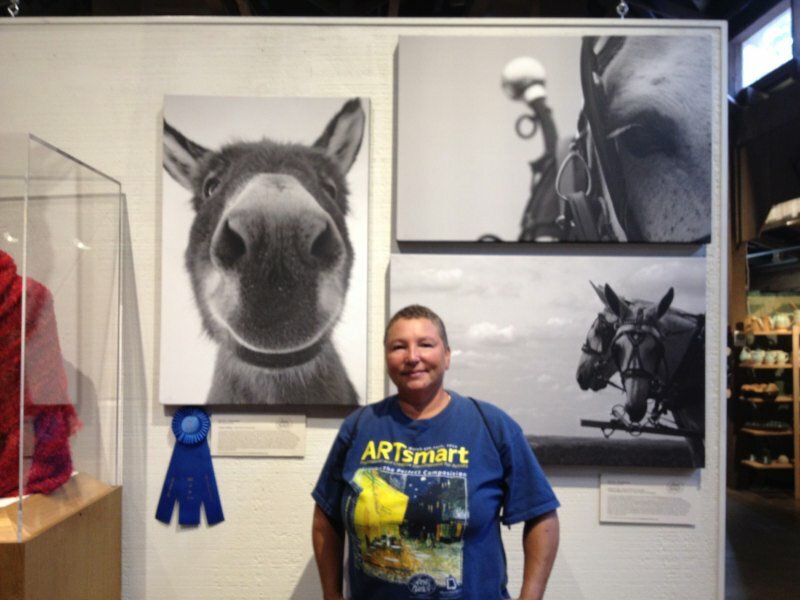 ​Awarded Best of Show 2-D.
​Also pictured, Allison Norfleet Bruenger - Best of Show 3-D (Jewelry). Awarded Best of Show 2-D. Sponsored by Ed & Phoebe Rice. Artsfest is the largest fine arts festival in Southwest Missouri featuring 140 artists from all over the country, over 80 performances, delicious food from some of Springfield’s favorite restaurants and food vendors, and a kids hands-on area with activities including Chalk-It-Up and the Claymobile, a mobile ceramic arts workshop. 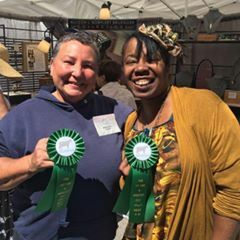 The Award of Recognition winners were chosen by two seasoned arts professionals who served as awards jurors for the 2015 MOSAICS Festival – Diane Papageorge and Joyce Rosen. – Diane Papageorge is a retired art teacher, and is currently an art instructor for many programs including the St. Peters Cultural Center, Lindenwood University, and St. Charles Community College, and is the Children’s Art Director at the Foundry Arts Centre. – Joyce Rosen was MOSAICS’ first Executive Director, and she has previously headed up several St. Louis art organizations/festivals/facilities, including the An Art Affair, Best of Missouri Hands, Foundry Art Centre, Lake St. Louis Cultural Arts Commission, Midwest Salute to the Masters and St. Louis Artists Guild. She is currently the Founder/Editor of “The Arts Live”. 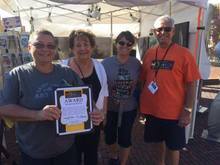 The 2015 MOSAICS Festival featured approximately 100 juried artists from more than 20 states across America. The participating artists were juried into the 2015 Festival by William Butler, the Executive Director of the Contemporary Art Center in Peoria, Illinois. Over 100 juried artists showcase their work in this two day show sponsored by the Columbia Art League. Held every year at Stephens Park it combines, art, entertainment, young collectors tent and fun for the whole family. 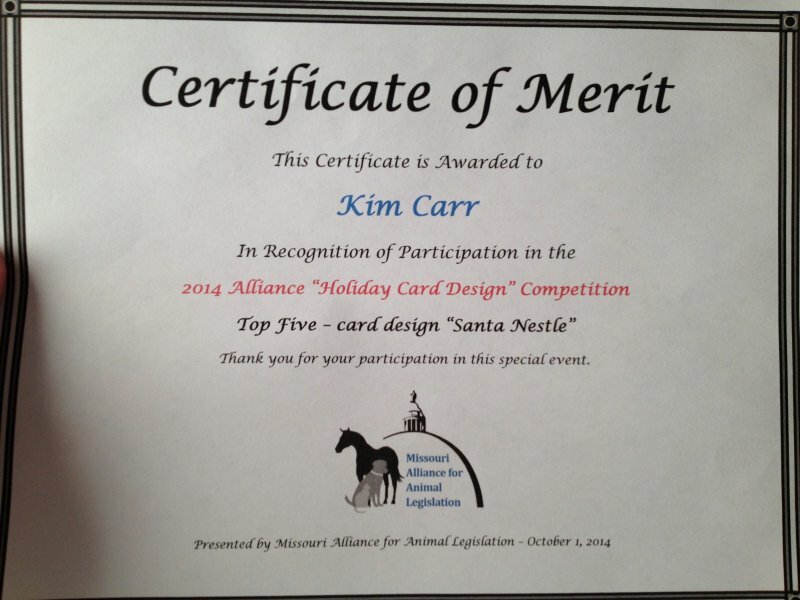 Very proud to have received two Certificates of Merit from the Missouri Alliance for Animal Legislation in their "Holiday Card Design" competition. Both of my images made it into the Top Five. 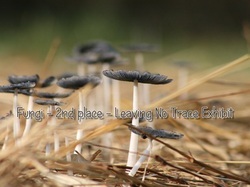 Juried Show: In this art exhibition, artists focused their work following the theme of "Leaving No Trace" an exhibition on nature and our impact. This theme explores both the aspect of pristine nature, where man has abided by this rule as well as the affects of what we leave behind and how we have impacted nature. This exhibit will hang February 1, 2013 to March 7, 2013. Juror: Laura Helling - Executive Director of the Foundry Art Centre in St. Charles, MO. I am honored to have had 3 of my pieces juried into this incredible exhibit, showing with top caliber Missouri artist. This award only validates my thoughts that people really do like to smile and enjoy art work which causes them to do so. Each fall during the Harvest Festival at Silver Dollar City (SDC) in Branson, a variety of Best of Missouri Hands (BOMH) juried artists are invited to demonstrate their craft during the event. 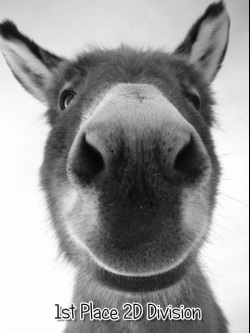 In 2012, SDC expanded its support of Missouri artists and artisans with its Made in Missouri Exhibit. This special exhibit showcased some of the finest work by BOMH juried artists as determined by judges who selected participating pieces from submitted applications. $5,000 in awards, sponsored by BOMH and SDC were presented, with judging by the leadership of Herschend Family Entertainment, parent company of SDC, the leadership team of SDC and the general public. A juried art exhibition focusing on work that visually includes people in any way either through portraiture, crowd scene, or though shadow or form. I was honored to have all 3 of my entries juried into this show. The night of the opening reception I was awarded and Honorable Mention on my photo of my Grandma titled: Grandma White. My other two pieces hanging in the show are "Dreams do come true" a photo of a friend and her horse in shadow and "The Gunsmith" a portrait of a re-enactor working as a gunsmith. 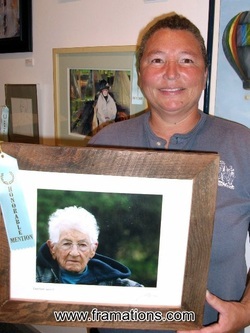 At the close of the show I was notified that my portrait of my Grandma had been selected as the People's Choice Winner. Juried Show: In this art exhibition, artists focused their work following the theme “Monochrome”, including work that is primarily monochromatic, visually including shades of one color. Artists were encouraged to explore the theme in a way that suited their vision and their medium. 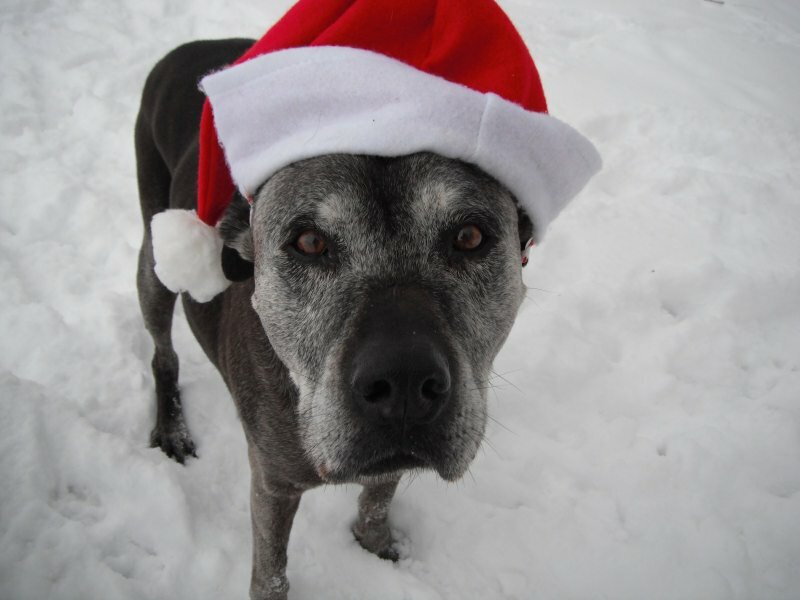 I submitted one entry into this show, "Frosty." My photo was awarded a honorable mention in this juried exhibit then it was selected as the People's Choice. This exhibit ran from July 6, 2012 to August 9, 2012.